Ever since the Repeal of Prohibition, Federal and state laws have mostly banned the retailing of alcohol by producers. Some states fall under an exception, which permit microbrews and brew pubs the ability to produce and sell at the same location. Anheuser-Busch InBev has decided to forget the ugly public and safety history of producer-owned saloons and are purchasing brew pubs like Goose Island, with the main motivation to sell their own beer in these local establishments. 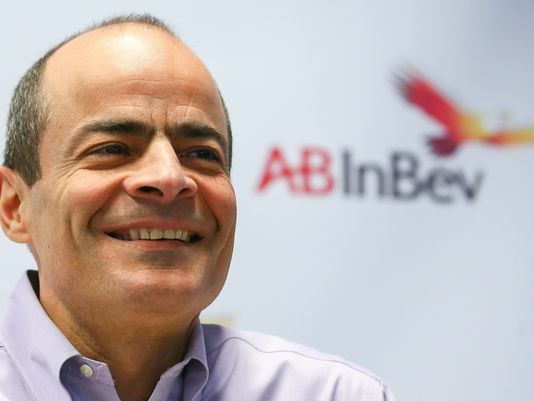 The U.S. beer market is dominated by A-B InBev, which along with MillerCoors, owns 80% of the market. AB-Inbev has gone on a craft brew buying binge, recently acquiring three new craft breweries for a total of eight and counting. Not only does this pose an enormous public health threat, it has created unrest within the craft brew industry. Really CEO Carlos Brito, must you try to monopolize the production, wholesale, and on-sale tavern sectors of the industry? 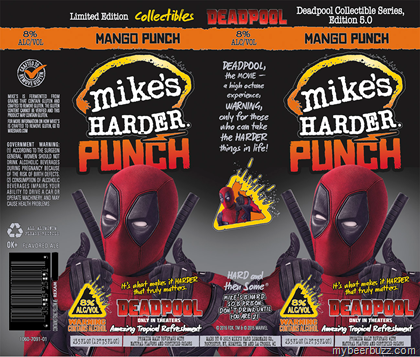 Mike's Harder has partnered with 20th Century Fox and Disney-owned Marvel Studios to produce a limited edition collectible series of its alcopop in 16 oz. 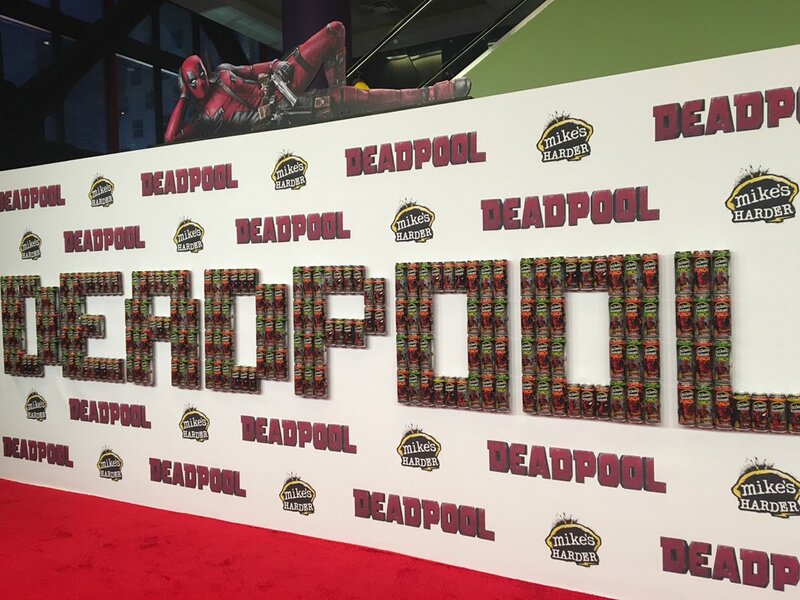 cans plastered with the mutant anti-hero Deadpool. As the story goes, the X-Men spinoff character has superhuman healing powers and is highly resistant to drugs and most toxins, making it extremely hard for him to become intoxicated -- just the kind of spokesperson a high-octane, youth-oriented alcopop like Mike's Harder wants promoting its brand. Eight percent ABV and 16 oz. means 2 standard drinks in each can/serving, accompanied by sugar/sweeteners, flavorings, and colors...covered in Deadpool images and some snarky catch phrasessuch as "8% alcohol, 100% AWESOME" and "only for those who can take the harder things in life. This partnership associates the Mike's Harder brand with superhero powers, which couldn't be further from the truth. Leaving the fantasy for the real human world, we remember that marketing alcohol with popular characters that are attractive to youth encourages earlier drinking initiation and increased consumption, and strengthens brand loyalty in youth and young adults. The evidence is also clear that youth who drink supersized alcopops such as Mike's Harder drink more and experience more alcohol-related injuries. Pairing a comic book character like Deadpool with one of the most popular alcopops for underage drinkers seems to contradict both common sense and the industry's own self-regulatory facade. Tell the CEOs of 20th Century Fox and Mike's Hard Lemonade to stop harming youth with this partnership. Read our most recent report on alcopops here. Bright colors, many flavors, and high alcohol by volume: Buzzballz is definitely not aiming at Baby Boomers with its new brand extension. Its slogan is "Ready to Shoot," and Shooterz certainly is. It comes in a 750 ml container of premixed cocktails with 30% ABV and a shot glass attached to the bottle. That's an additional 10-15% ABV than the original Buzzballz circa 2010. The original flavored, colored, spirits-in-a-ball was created by a former high school teacher, who got the idea for a beverage that would be nonbreakable and safe while sitting by the pool. According to the creator Buzzballz is all meant to be fun, and not meant to be a harmful beverage. But some youth advocates and college students disagree. They say that the product is focused on, and captures the attention of, youth. Buzzballz and any of its products, including Shooterz, are anything but safe. The evidence is clear: flavored and high-ABV alcoholic beverages contribute to an increased risk of related harm among youth. Such products add to the overall rates of alcohol-related harm in the US, especially to youth. To learn more about the dangers of alcopops and other flavored alcoholic beverages, see our recent report.